Learn the secret of this ancient Culinary Art with a Professional Course that turns you into a real Expert. This study program has been designed in ISO Quality standard 29990 to convey all the real secrets of Italian pasta. 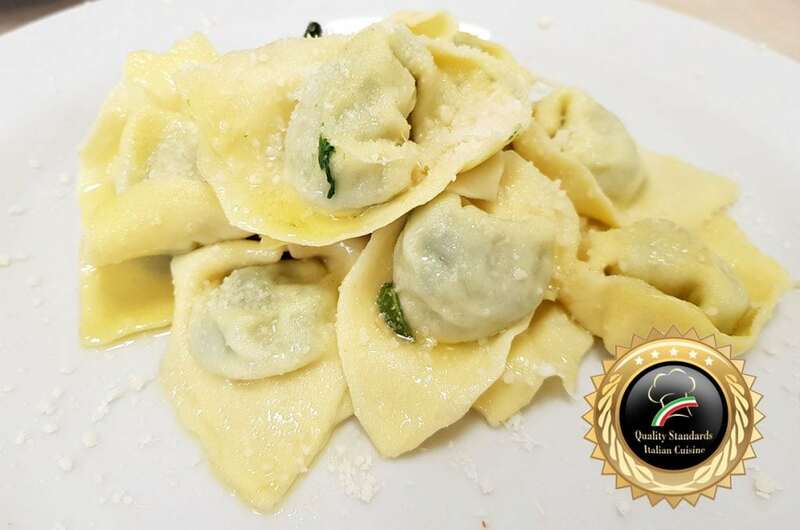 It is not just a course of recipes, it's not a pasta cooking class, but a full immersion in the key concepts that have made Italian pasta and his sauces the most famous and consumed food in the world. 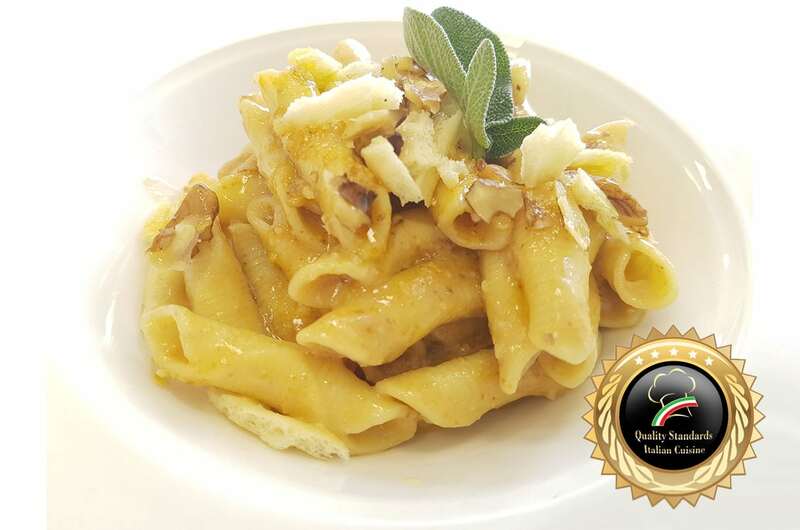 An Italian Pasta Artisan, certified as an expert in the realization of the most famous Italian "pasta dishes" in the world, able to work profitably in any restaurant or pasta shop. experience is not required, only passion and desire to learn. A very intense and concentrated study program in our Culinary Art School. 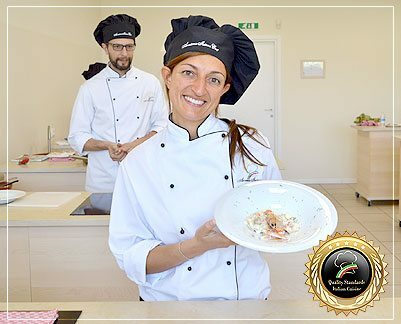 You will receive the same teachings that are given to Italian people who want become chef: theory and many professional practice on every single item you will study, with an innovative teaching method studied according to the European Quality Standard on training ISO 29990. Learn real Italian Cooking 100%. In a city like Florence, this is not just a cooking course but also a cooking vacation. 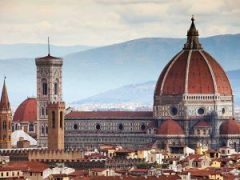 Tuscany is the Italian culinary Capital of food, and Florence is the most important location for cooking holidays. Your days will be full of taste. The school promotes only 100% Italian cooking methods. Original recipes, the right ingredients and all the secrets revealed. No useless data correspond to any added time and maximize results. 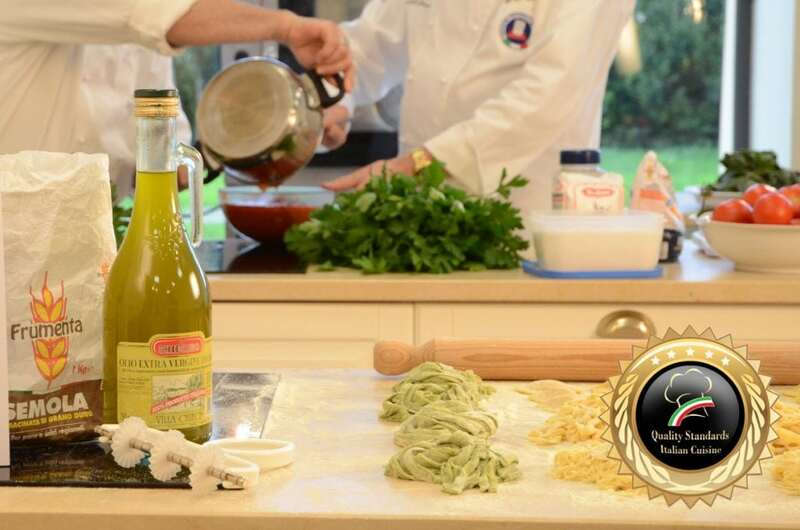 You will be guided by an award winning Italian Chef, he will follow you on a 5-day journey through a certified program. The formats has equipped with innovative audio-visual material that helps the student to orientate during the lesson step by step. Every step of the theory is done many times in practice. 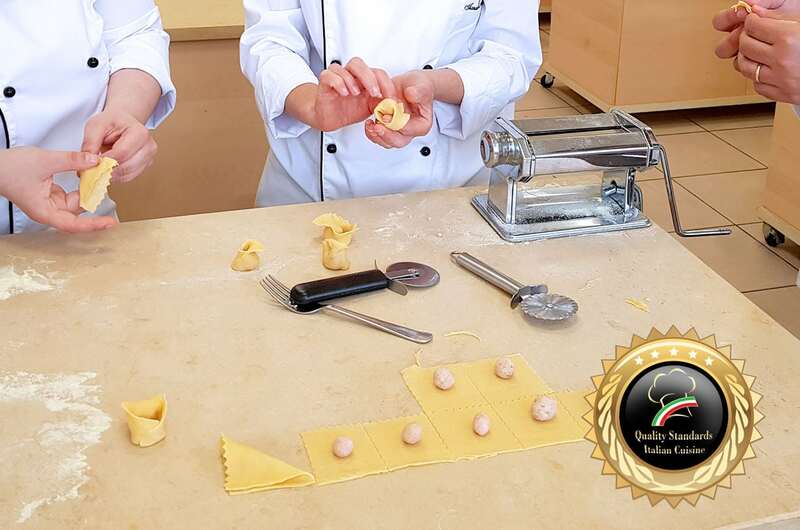 In addition to studying dry pasta, its cooking methods, the suggestions of precooking, you will also practice a lot on the excellence of fresh pasta, studying the secrets and the many variations. Lesson #1 summatory: Indoctrination on the basics of Italian First Courses and of the Pasta. Technical measures. Method of preparing the pasta. Preparation of the Italian Pasta. Preparation of the basic tomato sauces. 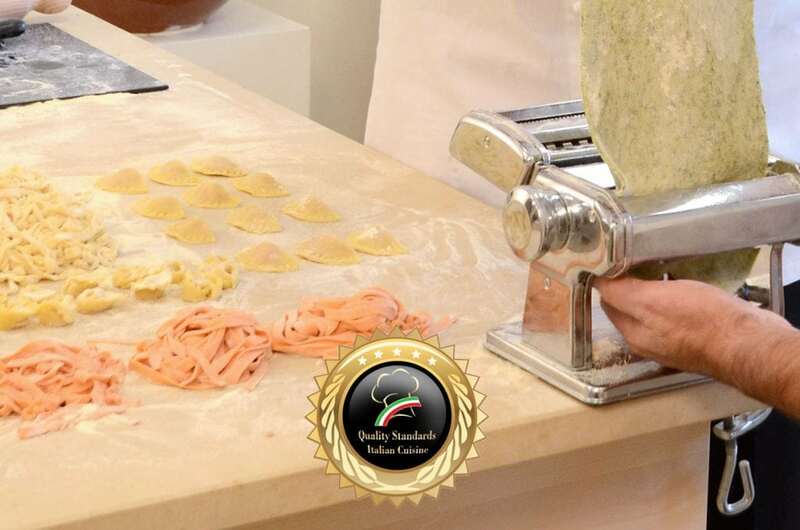 • Every student do all the procedure to produce original fresh pasta: tagliatelle, tagliolini, fettuccine, pappardelle. 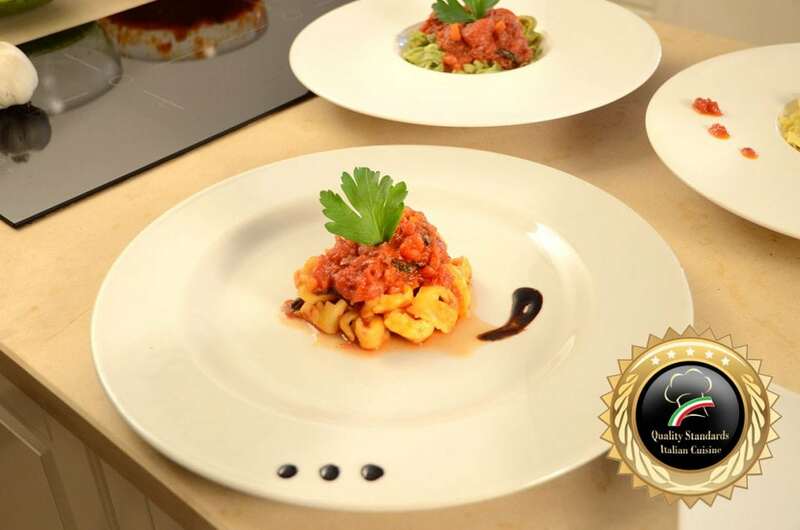 • Tasting and critique of the products produced: pasta with Tomato and Basil. The preparation of the egg pasta with different flours. Secrets of dry pasta and conservation method. The mantecatura. Preparation of the “Fettuccine Alfredo” sauce and “Cacio e Pepe”. Technical measures. sauce and “Cacio e Pepe (Cheese pecorino and pepper)” sauce. • The pasta machine and his use. How to have a large production of very good quality. • Tasting and criticism of the products maded. • Tasting and criticism of the products made: Tortelli alla Mugellana, Tortelli alla Barbabietola e Ravioli di Ricotta e Spinaci al sugo di Burro, Olio e Formaggio e alla Pommarola. 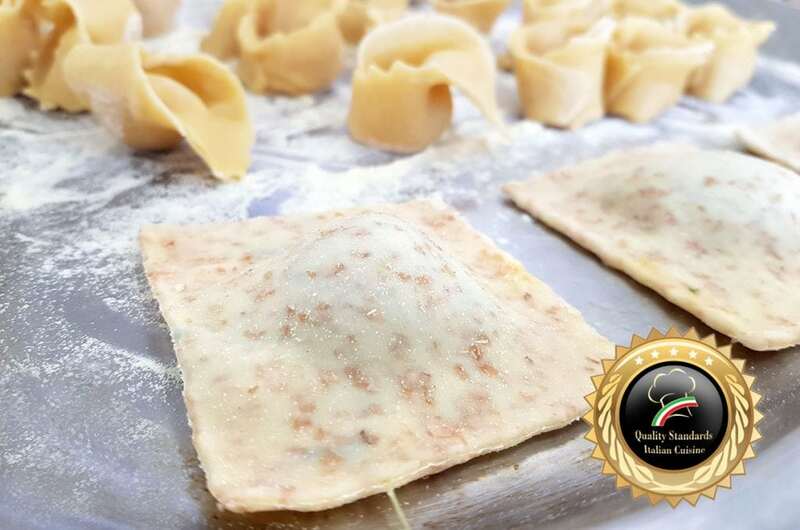 Lesson #4 Summatory: The preparation of the Italian pasta fillings. Technical measures. Method of preparation. 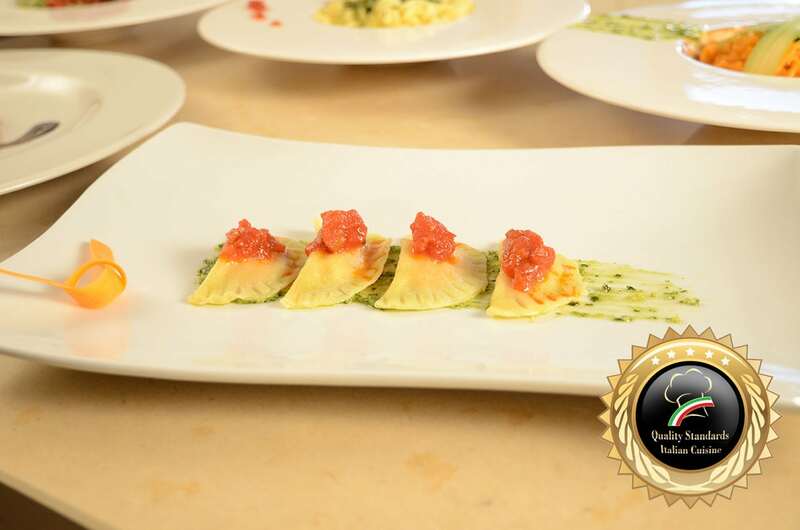 Preparation of Italian Pasta Ravioli, Tortellini Bolognesi, Tortelli, Tortelli with Cuttlefish ink. Preparation of the sauce ” al Tonno (tuna)”, “Panna, Piselli e Prosciutto (cream, peas and ham)” and “Sugo ai Gamberetti (little shrimps)”. Lesson #7 summatory: the preparation of Italian sauces and baked pasta. 1st part. preparation of italian “soffritto”, Technical measures, the Bases of Italian Sauces, Tagliatelle, Lasagne and Bolognese Sauce. Lesson #8 summatory: Preparation of the Italian Pasticcio and Lasagne alla Bolognese. 2nd part Realization of the Salsa Madre, Pasticcio all’Italiana, Lasagne alla Bolognese. 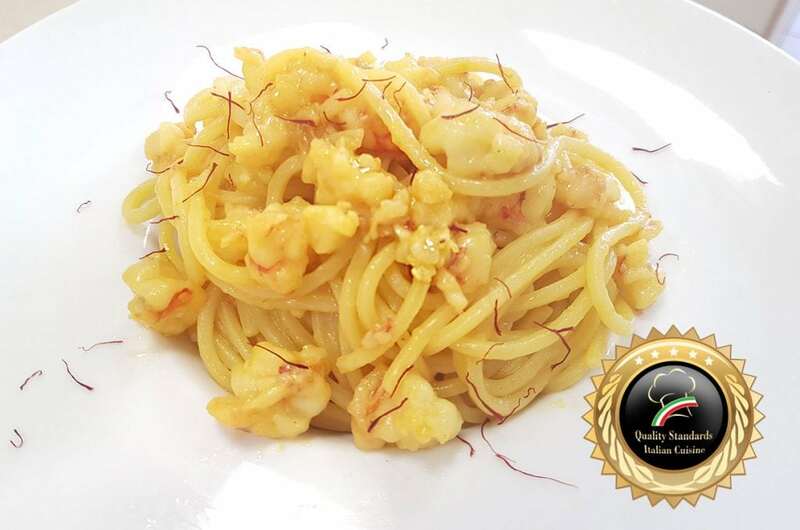 Lesson #9 summatory: the cooking of Italian dry pasta, bases of various types of pasta, preparation of sauces “alla Carbonara”, “all’Arrabbiata”, “Garlic, Olio e Peperoncino”. 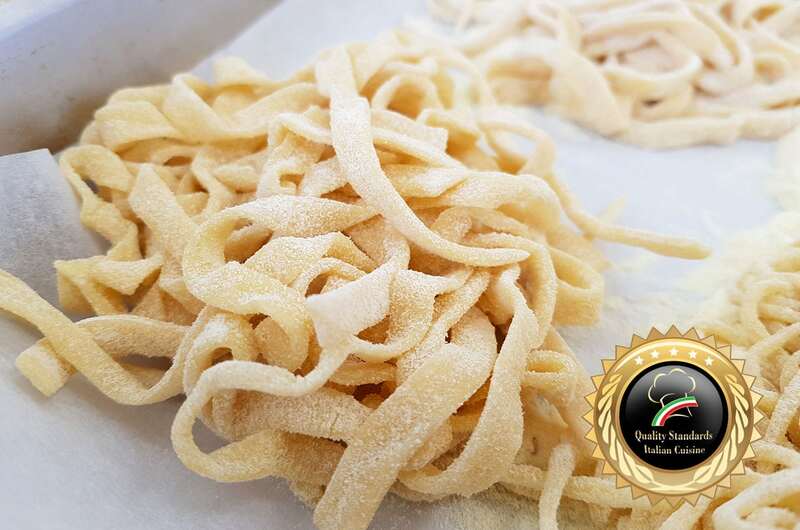 Lesson #10 summatory: Preparation of Italian Traditional Egg Pasta. Preparation of the sauces: “alla Puttanesca”, “Amatriciana”, “Scoglio (sea food crust and molluscs)”. Finally a photo and graduation. Teaching with a professional translator in English language for 40 hours of courses. Raw materials used in class. Professional equipment that is used during the lessons. Professional jacket and hat with “Accademia Italiana Chef” logo. Professional training manual in English language. Certificate issue "Expert in Italian Pasta" in english language. All consumption within the academic lessons.